EJIL: Talk! – Can Investment Arbitration Fix Itself? Home International Tribunals Investor-State Arbitration Tribunals Can Investment Arbitration Fix Itself? Can Investment Arbitration Fix Itself? This week, States have descended on UNCITRAL in Vienna to discuss potential reform of the investor-state dispute settlement (ISDS) system. Many are in a critical mood. During the April session in New York, delegates raised concerns over excessive costs, lack of arbitral diversity, conflicts of interests, inconsistent outcomes, and bias against developing states. More surprising – for many observers – was the appetite for ‘systemic’ reform. Many states have signalled openness to an appellate mechanism and the EU is mobilising support for a more ambitious multilateral investment court. The result is that the pros and cons of different reform models is an emerging field of research. A question less considered is whether the system might reform itself in the face of state backlash. Could the threat of reform be enough? Elsewhere, we have seen that international courts are sensitive to stakeholder opinion – they can read the writing on the wall. In the WTO, Creamer found that a 10 percent rise in state criticism increases the average panel validation of trade restrictions by 17 percent. Larrson and Naurin found that the probability of the Court of Justice of the European Union (CJEU) ruling for a pro-European position is highly dependent on the direction of third-party state observations. 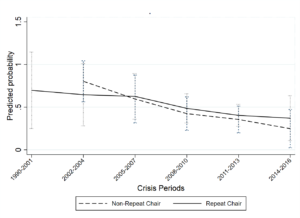 Stiansen and Voeten found similar trends for the European Court of Human Rights after a rising state backlash, although not in the same magnitude. Could the same pattern apply to international investment arbitration? Might arbitrators sniff the wind and change course lest the system fall into disrepute and disuse? In a newly published article in the European Journal of International Law, we try to answer this question. We first ask why arbitrators might adapt to the prevailing mood. As ‘agents’ in the system, arbitrators have skin in the game. They might be concerned with their personal reputation, compliance by respondent states with awards, and the long-time survival of the system. All of these goals require that the system possesses legitimacy amongst its ‘principals’ – states but also key constituencies such as academics, investors and non-governmental organisations. We might expect therefore that arbitrators will draw on a familiar repertoire of reflexive techniques to level the playing field for states: tightening jurisdictional criteria, exhibiting deferentialism in the merits phase of a dispute, reducing the number of claims upon which an investor succeeds, shifting legal costs on to claimant-investors or seeking to ensure arbitral diversity in appointments. Yet, it might be that arbitrators are impervious to the storm outside. Instead of agents, they might be ‘trustees.’ Due to the decentralised and fragmented nature of investment treaty arbitration and the stickiness of treaties, which cannot be easily amended or discarded, arbitrators are relatively insulated from critique. Free to concentrate on each case as it arises – and apply whichever legal and political philosophy they hold dear – arbitrators can safely ignore the systemic consequences of their decisions. Indeed, such an approach has been encouraged by leading legal figures, on the grounds that ad hoc arbitration panels are specialist bodies not general courts. What does the evidence say on arbitral behaviour? The past decade or so gives us a trove of experience to interrogate, as the signalling of state disquiet is nothing new. It is almost seventeen years since NAFTA states pushed back with their Interpretive Note and new model treaties; and it is eight years since the ‘discourse’ on the legitimacy crisis in international investment arbitration really accelerated and some states began ripping up their treaties or radically reforming them. Some legal scholars have suggested that arbitrators have heeded the call – pointing to a doctrinal turn. There is a growing emphasis on proportionality tests and a stricter approach to the creative use of the fair and equitable treatment and MFN standards may suggest an arbitral correction. However, the downside of examining doctrine for clues as to arbitral behaviour is that one may be tracking a subterfuge of verbiage – a new doctrine may not visit any hard material consequences on litigating parties. 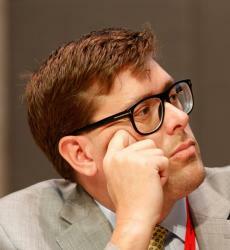 Moreover, it is far from clear how many arbitrators have formally adopted the new approaches. A different method is to look at outcomes. Drawing on our PITAD database, we analysed the relationship between treaty-based investment arbitration outcomes and stakeholder mood over time. The results? They are mixed. On one hand, states are doing better. They are successfully defending themselves against investor claims at a higher rate today than in the past. Investor success on jurisdiction has dropped from 100 percent in the 1990s to around 75 percent today. On the merits, success rates have dropped from around 60 percent to 44 percent. The compensation ratio – the difference between what was claimed and what is awarded in cases where investors are successful – fell from 44 percent (up to 2004) to 36 percent (from 2005 to 2017). Moreover, there is a partial correlation between these outcomes and shifting stakeholder mood. Our first mood indicator is the number of states exiting international investment treaties in the previous year. Controlling for a range of factors that might otherwise explain outcomes, we find that the probability of a claimant-investor win is negatively related to these – often loudly announced and publicised – treaty exits. See Figure 1. 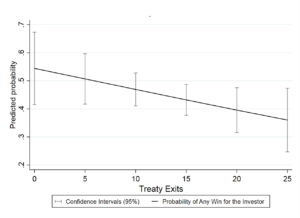 When the number of investment treaty exits is 0 in any year, the probability of claimant-investor success is 56 percent; but it falls to 38 percent when the annual treaty exits rate rises to 25 (which occurred in 2009). The same trend occurs with the number of newly signed investment treaties. The positive signal sent by treaty ratifications corresponds with greater investor success in a given investment treaty arbitration case. Moreover, we found correlations over more broadly-defined periods. Success rates for claimant-investors dropped dramatically after the emerging and maturing ISDS legitimacy crisis (2001 to 2013) but rose again after some states and regions (from 2014) began to aggressively pursue new investment treaties and investment chapters in trade deals. On the other hand, our results must be treated with caution and we found some contrary evidence. First of all, not all of our mood indicators evinced correlation. For instance, our general mood measurement of legitimacy – the prevalence of academic critique – poorly predicted arbitral outcomes. Moreover, the other two mood variables we tested were not statistically significant in all models. Our most surprising results comes from the testing of specific hypotheses. As potential guardians of the system, we expected that repeat presiding arbitrators would be more sensitive to states in the face of legitimacy critiques. They weren’t. Figure 2 shows that the probabilities of them favouring investors track those of non-repeat presiding arbitrators. We also expected that arbitrators would be more deferential to states in high-profile cases involving public interest concerns like those relating to issues of human rights or the environment. They weren’t. Finally, we expected arbitrators to be more deferential to the positions of developing state respondents across time. They weren’t. Indeed, developed states have enjoyed most of the declines in claimant-investor success rates across time. This was surprising although consistent with research on other international courts – powerful and influential states tend to receive more goodwill from international judges in times of crisis. Overall, these results make us partly sceptical of the system’s ability to reform endogenously. Yes, there is evidence that arbitrators are keeping an eye on state-level discourse and are responding to the institutional crisis, but only moderately so. This response is also uneven over time. A close analysis of the figures suggests that some of the most significant change may have occurred after the early critiques of the system (i.e., in the mid-2000s) but that more recent critiques have had less effect. Moreover, it seems that other internal actors with a stake in the system – such as law firms and arbitration centres – have only had a moderate impact with their reform initiatives. Despite attempts by arbitration centres and law firms to increase the number of female arbitrators, we have calculated elsewhere with St John and Lie that gender equality will never be achieved on current trends. ICSID has been successful though in improving transparency of proceedings and ensuring the appointment of developing country nationals as presiding arbitrators when they possess the power of appointment. But despite these efforts, the system has been lethargic in response. Transparency remains a problem in many proceedings (especially non-ICSID) and parties have been less willing to embrace geographic diversity in appointment, despite the fact that developing states continue to face (and lose) the majority of complaints. This research has two consequences for those seeking systemic or even incremental reform. The first is that the regime cannot be simply nudged, it needs a push. Even if some internal players are clearly committed to self-correcting reforms, they will be unable to achieve major changes in a highly decentralised system. The second conclusion is that any ‘push’ should focus on reforms that would make the system more sensitive to stakeholder concerns. Simple reforms that allow better channels for feedback from states and other stakeholders may be the most effective in the long-run. Sacrificing some independence for accountability, a more centralised systems – such as a system with an appellate review, investment court or what-have-you – may enable the system to adapt better over time and maintain its sociological legitimacy. In other words, the current debate is highly focused on which reforms would be acceptable in light of current concerns. 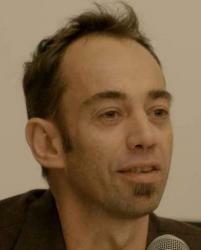 An alternative approach is to ask which system would be also adaptive to future concerns. Comments Off on Can Investment Arbitration Fix Itself?